Every now and then, we host a tea tasting event with homemade savory bits, cheeses to sweet goodies. Similar to wine tasting or even smelling different scents of perfume, a palate cleanser is necessary to neutralize the taste buds and enhance the tea tasting experience. Recently, we’ve been addicted to our Japanese Yuzu Honey and Vinegar Granita. It doesn’t require cooking and it’s amazing. Yes, I know, it’s genius. 😉 For those that haven’t heard or had Yuzu, it’s a citrus fruit found in Japan, that tastes like a combination of lemon, pomelo and mandarin orange. Yuzu juice and its peel are used in Japanese cuisine. So, having Yuzu honey and anything Yuzu really excites us, as they’re rare to find outside Japan. This granita is refreshingly ice cold (which helps when it’s 50 degree C outside!). Sharp and crisp, tart and sweet, it leaves no after-taste but culinary ingenuity. We really hope you love this as much as we do. If you don’t have Yuzu Honey or Yuzu Vinegar, please read our Notes section for alternative ingredients. Granitas are super flexible and versatile; and you can pretty much make any drink or even use Iced Tea and convert to a granita. We’ve added vinegar in our granita, as it is known to remedy heartburn and indigestion. It’s been regarded as a healthy drink due to the amino acids it contains. You can find Honey Vinegar or Fruit Vinegar in specialty Asia stores. Garnish with mint, lemon or grapefruit curls. Mix the Yuzu Honey, Water and Yuzu Vinegar and pour into a baking dish (7”x11” or 8”x8”) and place in a freezer. Cover with plastic wrap. After about 2 hours, remove the granita from the freezer and gently scrape the surface with a fork or spoon to break the ice crystals that’s formed. Return the granita to the freezer and repeat after 5 to 6 hours, until you have a baking dish of ‘shaved’ ice. 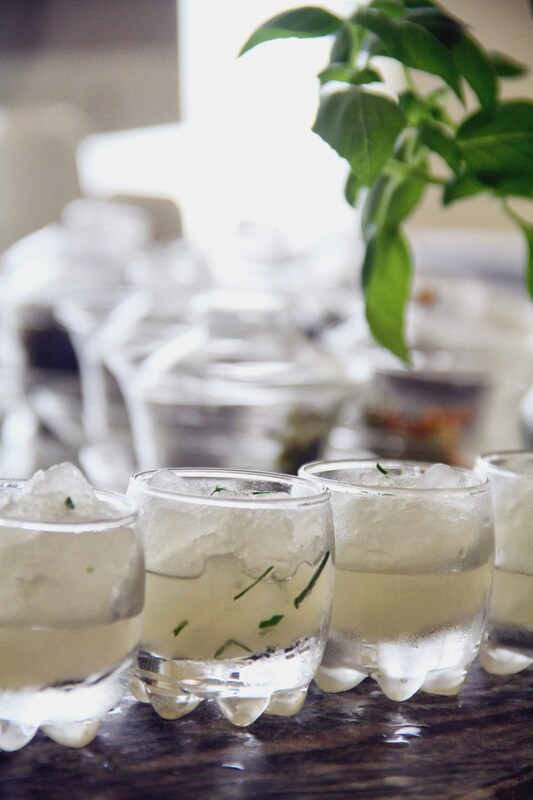 To serve, scoop a small amount of granita in small chilled glasses and garnish. Serve immediately. Yuzu Vinegar can be found in Japanese grocery stores. As an alternative to Yuzu Vinegar, you can use Raw Organic Apple Cider Vinegar. Yuzu Honey is quite specific to find. As a substitute, you can replace with any Fruit Honey of your choice or you can easily make it using any fruit you prefer (e.g. Berries, Peaches, Nectarines, Mango, etc.). To make Fruit honey, you’ll need some fruits of your choice and Raw Honey preferred. For this quick recipe, you can use a ration of 3:1 honey to fruit. Instructions: Wash the fruits and puree the fruits in the blender, food processor or by hand. Make sure there’s no water added, as this will dilute the honey and can lead to unwanted fermentation. Mix 1 part fruit and 3-part honey. Pour the mix in a jar and seal with a lid. No canning required. Source: Made originally by yv et té.